We’d love your help. Let us know what’s wrong with this preview of The Beauty of the Moment by Tanaz Bhathena. Susan hasn’t told anyone, but she wants to be an artist. Ma Susan is the new girl—she’s sharp and driven, and strives to meet her parents’ expectations of excellence. Malcolm is the bad boy—he started raising hell at age fifteen, after his mom died of cancer, and has had a reputation ever since. To ask other readers questions about The Beauty of the Moment, please sign up. No one dies in this one, I promise. This book managed to tick every single box on a romance list that I had no idea I even had. It was sweet and endearing yet spicy and a bit forbidden and wonderfully balanced with real life. In short, this is one of my favorite romances ever. I just–the new girl/bad boy trope has so much potential to flop given all the bad tries from the late 2000s, early 2010s. From aggressive to almost abusive love interests to just plain bad to trashy and cliche, there’s a lot of ways to go wrong. Yet Bhathena did such an amazing job of getting it all right? It feels like it suits 2019 with its diverse characters (YESSS) and a romance that’s sweet and gentle yet balanced with life and forbidden-ness and so much more. The romance was definitely my favorite part, and since it’s February, I was in the best mood to read this book and swoon over Susan and Malcom. The dual POVs were so awesome, and I loved reading both Sarah and Malcom’s side of the story and found them to be so well balanced. And even more than that, they’re their own people. The whole ending solidifies that (though I promise you a happily ever after) and they have agency and weren’t just made to be the other person’s other half. Susan has things going on with her mom & dad’s marriage, as well as art and potentially going to art school instead of engineering. Malcom has a lot to handle and unpack with his dad and his relationship with his sister and friends. It was all very well balanced, and that’s another highlight of this book. How well Bhathena juggled romance and real life problems for all the characters. I took of the .5 star ultimately because . . . I wanted more. So much more. I wanted to devour 5 books of just Malcom and Susan. And also because I feel like there could have been a little more exploration of Malcom and his father, but also we don’t want a 400 page contemporary so it’s still cool. Basically, I had a really fantastic time reading and just got all the fluffy, happy, feel-good feels from this book. I was in the perfect mood for this and devoured the whole thing in less than a day. - diverse casts and West Asian rep! - artists! also gorgeous covers! Overall, I had the most fantastic time reading, and this feels like one of the rare books that I’ll be rereading in a time of need. So yeah. Please read it, so you can gush with me about it after! Thank you so much to Macmillan and The FFBC for providing me with an ARC in exchange for an honest review! Booklover925 Currently reading and totally agree with your review! Vicky Who Reads Booklover925 wrote: "Currently reading and totally agree with your review!" This book is VERY different from the author’s debut novel which, by the way, I really enjoyed. Culture plays an important role here too, and relationships are developed, but it feels like a completely new book from a completely new author. Weird, right? It’s absolutely normal for two books to differ in content but usually the style of the author remains unchanged or almost. Yet here I barely recognized Tanaz Bhathena. It’s a lovely story with likeable three-dimensional characters and, being a Can This book is VERY different from the author’s debut novel which, by the way, I really enjoyed. Culture plays an important role here too, and relationships are developed, but it feels like a completely new book from a completely new author. Weird, right? It’s absolutely normal for two books to differ in content but usually the style of the author remains unchanged or almost. Yet here I barely recognized Tanaz Bhathena. It’s a lovely story with likeable three-dimensional characters and, being a Canadian resident, I of course connected to the setting and enjoyed the references. And yet, and yet. It also feels… amateur-ish. As though it was written VERY carefully. Tanaz’s debut wasn’t like that. It was bold, surprising, sad, heart-breaking, shocking, frustrating, maddening, and written in such a way that the author’s words affected my body. THE BEAUTY OF THE MOMENT did not make me cry or laugh… it just was. Pleasant, true, but it’s not addictive and I didn’t feel like I needed-to-know-what-happened-next-or-I-would-go-crazy. In other words, the author didn't take enough risks. She… played it safe. If I may, I think the author was very careful with her content and maybe even writing this time because some people complained about her debut. She even posted a comment on this book claiming there would be no deaths and that’s something I think she did to appease her readers more than to be funny. Maybe. I don’t know. All I know is that I was expecting to feel a little more. But again, the story is interesting and the characters fleshed-out. The reason why this seems like a negative review is because I was expecting something else. This was an utterly interesting and engaging tale. There are so many ways to classify this story. It's an immigrant experience story. It's a love story. It's a story of heartbreak. It's a coming-of-age story. Whichever the case, I thought Bhathena did them all quite well, and I really enjoyed meeting Susan and Malcolm. Both Malcolm and Susan were well written and multidimensional characters, who I grew to care for. On the surface, they seem so different from each other, but both were dealing with This was an utterly interesting and engaging tale. There are so many ways to classify this story. It's an immigrant experience story. It's a love story. It's a story of heartbreak. It's a coming-of-age story. Whichever the case, I thought Bhathena did them all quite well, and I really enjoyed meeting Susan and Malcolm. Both Malcolm and Susan were well written and multidimensional characters, who I grew to care for. On the surface, they seem so different from each other, but both were dealing with some issues, which were keeping them from moving forward. Susan had been the perfect daughter back in Saudi Arabia. She got top marks, and would never dream of running around with boys or lying to her parents. Then, she found herself in a new country with an absent father and a mother who was growing more and more distant. She was struggling to adjust to this new learning and teaching style, hiding her collegiate dreams from her parents, and engaging in a secret relationship with Malcolm. Her parents' arguing and impending divorce was the straw that broke the camel's back, and forced Susan to evaluate her dreams and needs. It was a really meaningful journey with took with her, as she learned to assert herself more, learned to appreciate the grey areas, and also come to terms with the fact, that nothing was guaranteed. And then, there was Malcolm. He was still dealing (poorly) with his mother's death, as well as his father's past abuse and infidelities. Though, he was no longer as self-destructive as he had been in the past. he still bore the reputation he earned. By being with Susan, he started seeing things through a much more mature lens. He started believing the praise and recognition he was receiving, and started working harder to achieve at the level people thought he could achieve. I really loved watching Malcolm grow, chapter by chapter. I don't know, maybe it's because he was an underdog, or maybe it's because I am all about second chances, but his story really warmed my heart. For me, this book was really about growing up, and the way maturing changes us and the way we navigate relationships. It was about making mistakes and owning up to them, but obviously, I also adored all the way love was integrated into the story. Bhathena showed the upside and downside of love. She showed how it can be really messy, but still really beautiful. I definitely appreciated the way Malcolm and Susan's romance played out, because I thought it was very realistic. And, wow! What a fabulous ending. I absolutely loved what Bhathena did there. I knew she wouldn't make it easy for me, but she left me super happy in the end. Overall: A fantastic look at love, growing up, and taking chances to achieve one's dreams. Very sweet and as always, I'm forever in love with Bhathena's writing style. Ahhhh, my favorite type of young adult story! Smart, fierce female lead with a complex life outside of her romantic life, BUT there's romance too. And such a great cast of characters! The storyline of an Indian teen who moved from Saudi Arabia to Canada for her senior year of high school addresses being an outsider and fitting into a new world, but not so much the "POC vs white" dynamic that is typically written. The community she lands in has a very diverse population, and the discussion of all Ahhhh, my favorite type of young adult story! Smart, fierce female lead with a complex life outside of her romantic life, BUT there's romance too. And such a great cast of characters! The storyline of an Indian teen who moved from Saudi Arabia to Canada for her senior year of high school addresses being an outsider and fitting into a new world, but not so much the "POC vs white" dynamic that is typically written. The community she lands in has a very diverse population, and the discussion of all the differences among this multicultural community, as well as within the Indian community, is so welcome. Highly recommended for readers of YA and for purchase for libraries serving teens. 5⭐ for this strong YA novel following an Indian girl, Susan, who moves from Saudi Arabia to Canada where she forms a friendship with certified “bad boy,” Malcolm. This one surprisingly grew on me! I loved that the main characters form a genuine friendship and that this novel addresses so many themes. Susan is a talented artist whose immigrant parents want her to pursue a “professional” degree, and Malcolm’s issues with his dad are serious issues I haven’t seen tackled by many YA books. I also enjo 5⭐️ for this strong YA novel following an Indian girl, Susan, who moves from Saudi Arabia to Canada where she forms a friendship with certified “bad boy,” Malcolm. I also enjoyed all the minor characters and their storylines, especially how Susan’s parents navigate their marital relationship. Refreshingly, also, the characters in this novel deal with problems more important than the romance in this book. Blog Tour happening on April 10th!!! Stay tuned! What I loved about The Beauty of the Moment was how it could deliver on so many levels. It touched a nerve in my heart with its romance and comedic elements - I am a sucker for some good banter. But what's more, The Beauty of the Moment delivers two extremely thoughtful main characters who are dealing with issues of identity, family, and fear of getting hurt. There was something so relatable and empathetic about their struggles with relationships, with their parents, and their own futures. Nothing lasts forever. Not this snowflake. Not our homes, not our families. But it doesn't mean you can't live in the beauty of the moment. I'd read Tanaz Bhathena's debut, A Girl Like That, and I was so excited for her sophomore novel. It didn't disappoint! The Beauty of the Moment was a beautifully poignant book that speaks to all of us. While reading this book, I could perfectly picture it as a movie or a tv show. Yes, it's a slice of life book, but honestly, the way Bhathena writes evokes such vivid scenes in my head. I couldn't stop thinking about how this book would translate to the screen. I mean, the lighting, the calmness! All in the likes of an indie film or a la the Norwegian tv show Skam. Anyways, the first half of the book was good, but the last half, specifically the last third, is when I really fell in love with this book. At this point, the characters really reach the peak of their character arcs, something we've been waiting for throughout the entire book. They grow so much, and I just. Love the two main characters sososo much. There is so much representation in this story! Susan is a Christian Malayali Indian, who moved to Saudi Arabia, and now Canada. Malcolm is a Zoroastrian Parsi Canadian (I'm not sure if that's the correct order of adjectives, please correct my mistakes! ), and there are other Indian and Parsi characters. The Beauty of the Moment actually takes after A Girl Like That; Susan, one of the two protagonists, went to the same school as Zarin. It's been a while since I've read the latter book, so I don't remember if she's mentioned in the narrative, but it was interesting to touch on those events in this book. I will say that The Beauty of the Moment is very different, purely in the fact that no one dies in this book, as the author says. Also, this book is definitely more of a heartfelt rom-com compared to AGLT's nuanced story about double standards and religions. One thing that I really loved was that, although Susan's parents are strict, they aren't like obviously overbearing at all times. I really related to that, as a child of immigrants; when you grow up with Expectations, they just become ingrained in you, to the point where you don't know if you personally want to accomplish them or if they're just something you think you have to accomplish. I think that when YA books show this, they usually only show the parents only ever talking about school and whatnot, but in reality, the Expectations are piled on you so gradually that they don't have to bring them up constantly. And what was so great to me was that the ending wasn't so cut and dry because that's just life sometimes. It was so perfectly bittersweet and realistic to the characters' growth. Although it wasn't necessarily the happy ending I wanted, it was definitely the one I needed for the story to hold its meaning. The Beauty of the Moment was such an interesting and delightful tale. Initially, I thought this to be a simple YA contemporary romance novel but once I dived into it, it proved to be way more than that. Tanaz Bhathena has handled all the different themes in the story quite well and I fell in love with it. This book has a wonderful set of characters. Our main characters are truly likeable and relatable, though they are complex ones. Susan Thomas is an Indian Girl who moves from Saudi Arabia to Canada for her final year of high school. She faces all kind of challenges while trying to fit into her new school and the new culture. She always had been the perfect daughter – achieving the highest scores in all subjects and always tried to meet her parents’ expectations. Her parents wanted her to be a doctor or engineer, but secretly she wished to be an artist. Malcolm Vakil is a Parsi boy dealing with his own problems and reputations. He is trying to come out of his bad reputation which he got because of his indulgence in drugs and alcohol after his mom died. He also has a father who has been abusive to him in the past and now they have a tough relationship. There are many amazing side characters too. I adored Mahtab, Malcolm’s younger sister. She always took care of Malcolm as if she was his elder sister instead of another way around. Alisha, Susan’s best friend back in Saudi Arabia, is the BFF we all want in our lives. Though now she and Susan were countries apart, their relationship also got affected but I loved how the author has handled this change. Susan’s mother was quite a strict one and to some level, she showed the strictness of a typical Indian woman. She wanted to live her unfulfilled dreams through her. Malcolm’s uncle, Mancher, certainly was a favourite character. He was funny and gave some really good advice to Malcolm about love and life. The immigrant experience has been handled quite well by the author. Susan lived in Saudi Arabia till now and suddenly when she moves to Canada, she struggles to fit in the new culture. She constantly compares her life in Saudi Arabia with Canada, how her school was different, how the courses and teachers were different, how girls were not allowed to do certain things. These lines are really impactful. Though I don’t have any immigration experience, I was totally able to relate to it. In India, it’s not just about the country. Even with the different states, we often get to hear this thing. I am really happy to see the number of diverse characters YA books have these days. This book too has almost all the diverse characters and it makes the story more relatable to me. Susan is an Indian Christian, Malcolm is an Indian Parsi. Malcolm’s friends are also from different religions. Having all these different religions in a single story truly represents my country which is so diverse. This story is definitely a coming-of-age story. I loved the character growth of both Susan and Malcolm. Susan wanted to be an artist but always was afraid to talk about this to her parents. But the differences between her parents’ relationship finally make her realise what she wants to really do and stand out in front of her parents. She learned to accept herself. She learned to make new friends and finally understood the fact that nothing in the world is guaranteed. Malcolm’s journey was quite amazing too. After he met with Susan, he started seeing things differently and tried to be mature. He started working harder towards achieving his goals. I loved the way he tried to improve his relationship with his step-mother and father. That really gave him the push he needed for appreciating himself more. I totally adored the romance between Susan and Malcolm. It was not the typical high-school romance. It was amazing to see how they both proved to be a good influence on each other. They made each other strong and made each other realise their own worth. Within each other’s company, they tried to be better and encouraged each other to achieve the goals they wanted to. The author has beautifully shown the hard way of love too. She showed that love is not always easy and it doesn’t necessarily give you what you always want. Rather it’s a difficult path to follow. And I loved the way the author has played out the ending of the story. I will have to say this: Tanaz Bhathena sure knows how to write about young people and their angst, their journey through emotional landmines and keeping readers invested in the world she creates. In ‘The Beauty of the Moment’ we have Susan Thomas and Malcolm Vakil as the main protagonists and narrators from whose point of view, the reader is taken to a world of school grades in the last year of senior high school, bunking, trying to fit in, falling in love, falling grades, jealousy and uncertai I will have to say this: Tanaz Bhathena sure knows how to write about young people and their angst, their journey through emotional landmines and keeping readers invested in the world she creates. In ‘The Beauty of the Moment’ we have Susan Thomas and Malcolm Vakil as the main protagonists and narrators from whose point of view, the reader is taken to a world of school grades in the last year of senior high school, bunking, trying to fit in, falling in love, falling grades, jealousy and uncertainty, negotiating through emotional baggage with parents and living with the weight of expectations. Susan and Malcolm’s narration takes us into their respective background story: Susan, the one with great scores in Saudi Arabia before she moved to Canada with her mother, now trying to fit in without much success in a new country, a new school; Malcolm, the one who wouldn’t care less about school and has an enormous cross to bear with his father and the loss of his mother to cancer. When the two cross paths and fall in love, they learn about themselves and how to find their way of the turmoil they have in their own lives. This is a coming of age story with a lovely romance that has its moments with a subtle thread of cultural alienation thrown in. This book really reflects the proverb of whatever is meant to be will be and the love of Susan and Malclom really signifies just that. Things happen for a reason and if a couple is meant to be together, they will find a way despite what their families might think and even if they do not make sense on paper as the "perfect couple." What if Jenny Han and the Director of Serendipity decided to collaborate on a novel? The Beauty of the Moment is the direct spawn of the answer to that question. Thank This book really reflects the proverb of whatever is meant to be will be and the love of Susan and Malclom really signifies just that. Things happen for a reason and if a couple is meant to be together, they will find a way despite what their families might think and even if they do not make sense on paper as the "perfect couple." What if Jenny Han and the Director of Serendipity decided to collaborate on a novel? The Beauty of the Moment is the direct spawn of the answer to that question. I want so much more from this author. This book is EVERYTHING. Susan and Malcolm are such complex, believable characters, and I was completely drawn into their world. Get ready for a stunning sophomore novel. I received a copy from Penguin Random House Canada in exchange for a honest review. The Beauty of the Moment will be the next read that hits the shelves with a fantastic representation of diversity and culture. Heavy with important topics youth can relate to, this book is a fun ride from page one to the last. The story follows Susan, a new girl, born in a different country and highly distinguishable because of the way she acts, her clothes, and accent. Raised under strict parental control, Susan doesn’t rebel. She tries her best to get the greatest grades and to always succeed in everything she does. But when she meets Malcolm for the first time, her world is suddenly tilted. Malcolm is someone her parents would absolutely hate. He’s a typical bad-boy character with teachers and principal’s on his back for mischief and disruptions in school. Malcolm is automatically intrigued by Susan. She’s beautiful and manages to make his broken heart beat again. What I really liked about this book was that the author did not shy away from showing the messy dynamics of a family. Specifically how a family breaks down or how a divorce can hurt everyone and not just the two parties involved. It was realistic to read as Susan and Malcolm slowly revealed their sides to each other and to the readers themselves. It also did not shy away from depicting real current issues taking place right now around the world. It brought attention to the Syrian refugees entering into Canada and the difficulties it may entail. This is a typical forbidden ya romance. A girl and boy from different religion fall in love. Malcolm, the hero, is not likable to me. A typical rebel and bad boy. In the beginning of the book, he was heartbroken due to his breakup from a very ‘Hot’ girl, the typical high school mean girl. Apparently she has moved on with another guy. Then he meets Susan, the new girl in the school and fa This is a typical forbidden ya romance. Susan was sweet if not rebel at times. The restrictions she had is something I can totally relate to. …and immediately abandoned my magical readathon TBR to read this. I love a good good girl/bad boy/forbidden love trope and this book delivered in such a mature way. This book follows two characters, Susan and Malcolm. Susan recently moved to Canada and has a lot going on with her family. Malcolm is still processing his mother’s death, his relationship with his father, and a recent breakup. We follow them as they handle these issues until eventually their paths cross. I loved the romance in this book. It was so cute and fluffy. There were times when I thought the author was going to make this super cliche, but most things were handled well (except for the jealous ex subplot). I also liked that this book was more than just a cute story. It tackled important topics like immigration, refugees, heartbreak, and more. After I finished this book, I wished it had been longer because I wanted more of Malcolm and Susan. 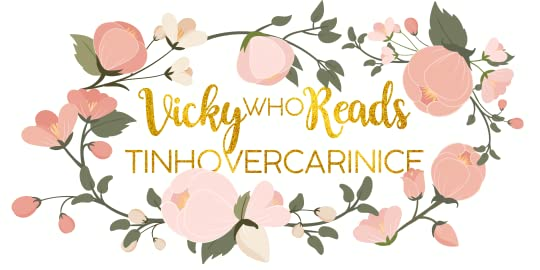 Definitely keeping an eye out for more cute romcom books from this author. Like I mentioned in the introduction for this post, the moment I heard about The Beauty of the Moment, I knew that I had to read it. There are so many things that I was excited about (like the author and the location). And once I started reading, there were a few other things that I really liked that I didn’t know about beforehand. As is the case with all books before reading them, I didn’t know if I’d like the characters (no matter how awesome they may sound in the synopsis). And while it took m Like I mentioned in the introduction for this post, the moment I heard about The Beauty of the Moment, I knew that I had to read it. There are so many things that I was excited about (like the author and the location). And once I started reading, there were a few other things that I really liked that I didn’t know about beforehand. As is the case with all books before reading them, I didn’t know if I’d like the characters (no matter how awesome they may sound in the synopsis). And while it took me a bit to warm up to Susan and Malcolm, I really really liked them! I really felt for Susan and how she’s an immigrant to Canada (as I experienced some of what she went through myself when I first moved to this country as a child…though I will say that I moved here while I was in grade school and had some time to adjust to things before having to face high school). And Malcolm. Where do I begin? He’s definitely the kind of bad boy that would have stolen my heart in high school! Especially once I would have gotten to know him better. I also really liked Susan and Malcolm’s interactions, as well as some of the more minor characters. Another thing that I loved (as I mentioned) was the location! The story of The Beauty of the Moment takes place in Toronto, which I have visited quite often in the past. I received a ARC from Macmillan INTL in exchange for an honest review. All thoughts and opinions are entirely my own. In a nutshell: The Beauty of the Moment was a touching, light-hearted contemporary novel on first loves, family pressure, forgiveness and the future. Tanaz Bathena’s debut novel, A Girl Like That was one of my favourite books of 2018. It was poignant and it broke my heart and so, when I got the chance to read The Beauty of the Moment a little early, I JUMPED. I could see the evolution in Tanaz’s writing, especially in terms of how well-defined her interpersonal relationships were and it was such a joy to read. 1. I loved how Tanaz Bathena managed to capture the quintessential Indian family, with their nuances, flaws and all. It felt REAL to me, as someone living in India with slightly overbearing Indian parents. Even Susan’s mom’s reaction when she showed up drunk for the first time was QUITE HILARIOUSLY ACCURATE. 2. Slow, well-done romance: I quite liked the romance between Susan and Malcom, their awkwardness and also all the kissing. 3. The Syrian refugees: It was really touching to see that even though this was a feel good, contemporary novel, that there was so much social responsibility in the characters and empathy. 4. The art: Susan’s descriptions of her own art and also the art on the cover and also at the start of each chapter. 5. IT WAS A JUST NICE BOOK, OKAY? It made me feel happy inside after reading a whole string of fantasies that were dark and twisty and I quite loved it. Would I recommend this book? YES! I’ve read and loved both of Tanaz Bathena’s books so far and I CANNOT RECOMMEND IT ENOUGH. Tanaz Bhathena’s A Girl Like That was my absolute favorite book of last year, so it’s safe to say I had high expectations – which were met, for the most part, with her sophomore novel. This follows the stories of Susan and Malcolm – two Indian-Canadian teenagers trying to live their daily lives and make it through each day as best as they can. When their paths collide, they feel an immediate pull towards each other, and so begins a love story with two characters you can’ Actual rating: 3.5 stars. Tanaz Bhathena’s A Girl Like That was my absolute favorite book of last year, so it’s safe to say I had high expectations – which were met, for the most part, with her sophomore novel. This follows the stories of Susan and Malcolm – two Indian-Canadian teenagers trying to live their daily lives and make it through each day as best as they can. When their paths collide, they feel an immediate pull towards each other, and so begins a love story with two characters you can’t help but fall in love with. Bhathena writes with such ease, it’s impossible not to get lost in her world. Both Susan and Malcolm are beautifully developed characters, each with hopes and ambitions, each with complicated family lives, and each trying to find their way through life. Their relationship felt very believable, and you become immediately invested. Bhathena’s ability to weave sociopolitical commentary into her narratives is also incredible; she touches upon immigration, the refugee crisis, racism, domestic violence and loss all in one book and does so really well. Her portrayal of how Susan moving to Canada takes a toll on her friendships and how she misses her past life resonated a lot with me. My main issues with the novel was that I felt it dragged at times. It could have been shorter, and it would have been more impactful had it been about 50 or so pages shorter. But I would still highly recommend it for anyone who enjoys a good contemporary. 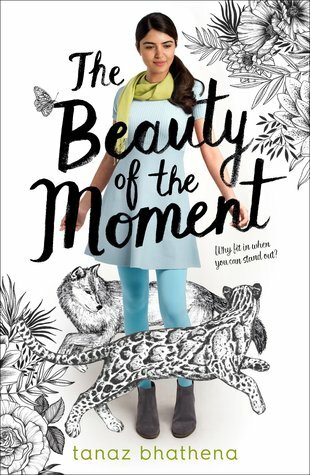 The Beauty of the Moment is a modern novel following Susan, the new girl in town, who just arrived from Saudi Arabia. She dreams to be an artist, but her family has different plans for her. While she is trying to meet exceptionally high academic standards and dealing with her parents her inevitable divorce, she meets Malcolm. He's a bad boy type and has a quick temper, ever since his mom died of cancer a few years ago. As they get to know each other, trust, family, and their own hearts are on the line. I really enjoyed this book, Susan and Malcolm were easy to connect with as characters. I actually enjoyed Malcolm's character a bit more, I found his development more prominent. However, the family dynamics and the varying cultures were engaging either way, and I liked how realistic it felt. Some contemporaries have a lot of fluff, but this one was genuine and reflective of youth in Toronto. It is one of the only books I remember reading that was set so close to me. I loved being able to know the landmarks and malls that they discuss in the novel, and I have even been to a few of the locations that they highlight. The racial differences were well written, and it is important to have books share these topics, as diversity a key part of today's culture. I do wish readers could have found out a bit more about if they ended up together, or their feelings afterwards. I loved that there was an epilogue, and it might have been too long with more details, but I did want to keep reading about their story. Susan is the new girl in Toronto; she misses her friends and father back in Saudi Arabia and she is terrified at letting down her mother. Malcolm attracts trouble and he doesn't ever seem to shy away from it, even if this year he has decided to take a step back from the drugs and alcohol. When they first meet, there is an instant spark...a connection that neither one of them can deny. As Susan begins to open up to Malcolm he begins to open up with her...and other members of his family. Of course Susan is the new girl in Toronto; she misses her friends and father back in Saudi Arabia and she is terrified at letting down her mother. Malcolm attracts trouble and he doesn't ever seem to shy away from it, even if this year he has decided to take a step back from the drugs and alcohol. When they first meet, there is an instant spark...a connection that neither one of them can deny. As Susan begins to open up to Malcolm he begins to open up with her...and other members of his family. Of course, not everything can be easy can it? When Malcolm betrays Susan, then her father betrays her family Susan learns that sometimes you need to go for what you believe in...do what you want...no matter where it leads. A touching, heartfelt book that made me smile and cry. I loved how Bhathena was able to write about the Syrian crisis as well...and it fit in so seamlessly! I also really, really loved how the relationship between Susan and Malcolm grew and changed but I think the relationship that I loved the most was between Susan and her mother. I can't wait to recommend this book to everyone! In Young Adult Genre, Tanaz Bhathena’s storytelling is like fresh breathe, I tried to read this book in one sitting, it was bit hard though but trust me, book is that much impressive. It is well written coming-of-age story, deals with many social issues, like immigration, acceptance, growing up in dysfunctional family and striving for life goals. Susan Thomas, our protagonist of the book is an Indian girl, who had to move from Saudi to Canada, for further studies, I could totally relate to immigration feeling, you feel displaced, you search for identity, and you tackle odds of surroundings. My heart was rooting for Susan in a way. The second character is Malcolm, an Indian Parsi guy, who is not sure about his life goals, I loved the chemistry between Susan and Malcolm, plus how he struggles to mend the relationship with her step-mother. As saying goes, a real friend is one who brings out the best in me. Susan and Malcolm seemed to follow this connection beautifully. I admired their small efforts, it really made me emotional. How could I forget to mention Mahtab, Malcolm’s sister and such powerful person, She raises fund for Syrian refugees, her journey was really impactful. Many parts of Tanaz’s writing read like a screenplay, I must tell you an entertaining one. She made me visualize her characters and I was eager to follow at once, all turns and twists of their journey. I embraced each character and their growth, moment by moment. Along, skillfully woven interlacing characters, author managed to captivate drama at right place, nuances of family bonds, light hearted humor, and many shades of curiosity. Confusion, fear, suffering pain, with every vibrant emotion, characters keep you hooked till the end, ever after you flipped the last page. Without having heavy drama, Tanaz offers unique narration. Dialogues were witty and natural. There were hidden insights. Although it is light hearted romance, but there was subtle sadness as well, makes this book worth-to-read to me. While reading, I had the feeling of being wrapped in Bhathena’s world. She has great command on teenagers’ psychology. NOTE: I don't use Goodreads frequently; please feel free to connect with me through my website.